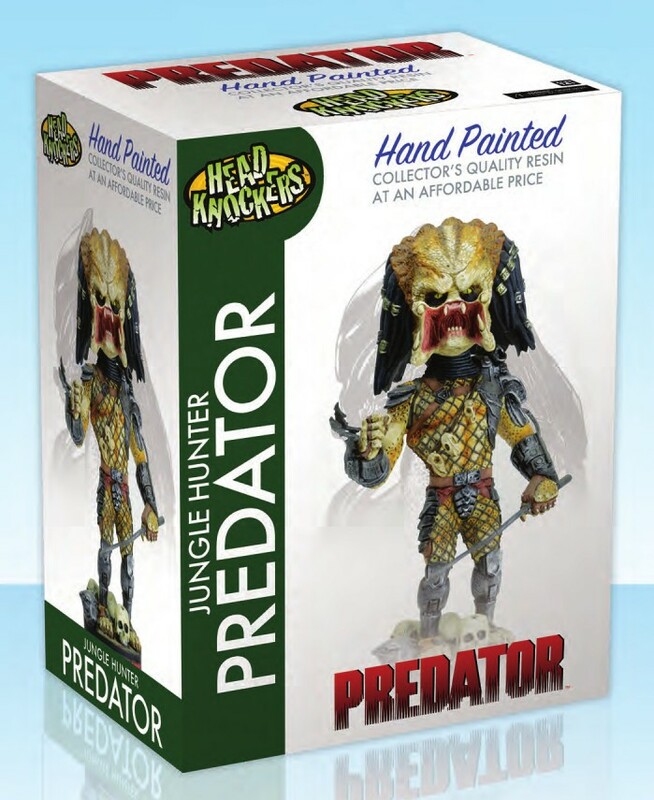 This addition to our popular Head Knocker line brings you the original Predator from the 1987 sci-fi action movie! Fresh from a hunting trip, he’s ready to stake out your shelf, so keep a protective eye on your other figures. 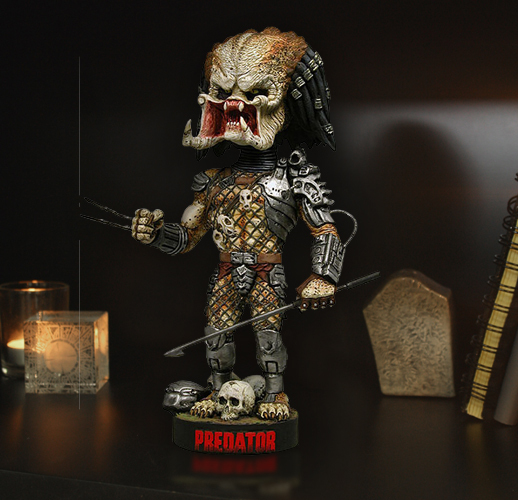 The ultimate hunter is cast in resin and then hand painted for incredible detail. Stands 9″ tall with bobbling head — perfect for fans young and old! Comes in collectible matte finish packaging with spot gloss.